The Tybee Island Light, also known simply as the Tybee Lighthouse is located on Tybee Island east of Savannah at the mouth of the Savannah River. The Tybee Lighthouse is one of just a handful of 18th century lighthouses still in operation in North America. 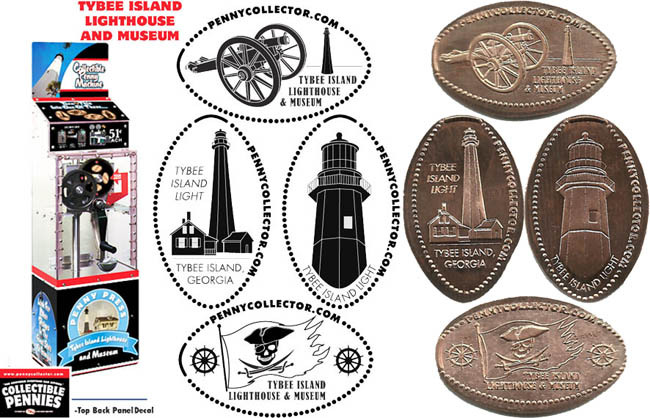 The Tybee Island Historical Society runs the Lighthouse Gift Shop. 4) Pirates flag and ship s wheels. thegillion added Tybee Island Lighthouse and Museum to system.